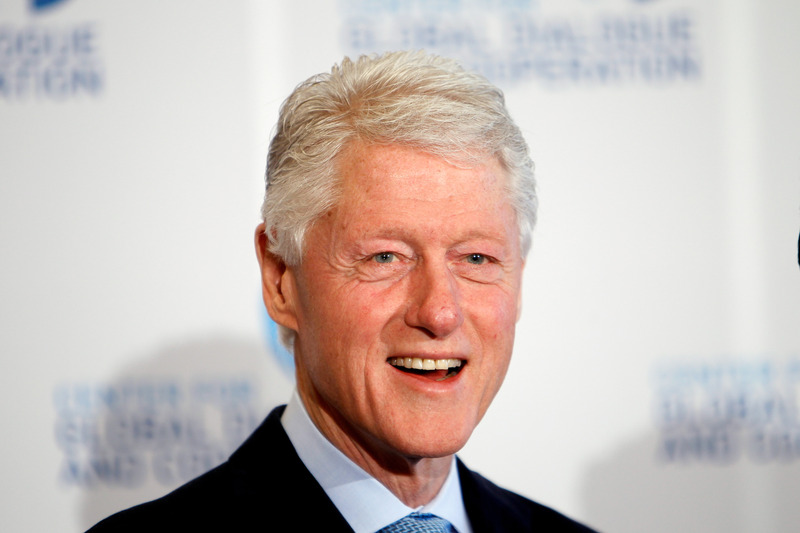 Shonda Rhimes Wants Bill Clinton on 'Scandal' But Is This a Good Idea? First Monica Lewinsky resurfaced in one of Beyonce's songs, then broke her silence in a Vanity Fair essay, and now Shonda Rhimes wants Bill Clinton on Scandal . Is 1998 vying for a comeback or what? Although casting Clinton would go against Rhimes' stance on not casting real-life politicians, she just might be willing to bend her own rules for Clinton. "That's not really our thing, but I will say, 'Bill Clinton, if you're out there, we would love to have you…We would always love to have you,'" Rhimes said Wednesday night at Women In Film's Crystal + Lucy Awards. Despite her interest in arranging a Clinton cameo, Rhimes did admit that she doesn't see the former president fitting in with the show's political cesspool of characters. But she created Scandal, didn't she? Surely, she could make Clinton into a suitable bad guy. If so, is Clinton on Scandal a good idea? My initial reaction was, "Bill, don't do it! Reconsider, read some litera-ture on the subject...You sure?" But a Clinton appearance would probably send ratings through the roof (beyond where they already are) due to an influx in viewers, amongst them conspiracy theorists who want to see if Rhimes is ballsy enough to recreate "Lewinskygate." Higher ratings equal satisfied Scandal fans, thus all is right with the world.Also, the show needs someone to replace Harrison. Not saying Clinton should be a gladiator, but building a storyline around his presumed character could help fill the void of Olivia Pope's current man down situation. Plus, Clinton watches Scandal, so maybe he's already prepared to play a role. C'mon, no true Scandal addict can get through an episode without playing a game of "See, if it was me..." It also helps that Clinton has a sense of humor, which has to be of some use for a politician who plays one on TV.On the other hand, everyone knows Clinton can play the saxophone, but can he act? I guess that depends on whether you believed his denial of the affair with Lewinsky. And do we really want to see a former president who was actually involved in a scandal appear on Scandal? I'm still on the fence with this one, but something tells me Clinton would probably prefer to stay far away from political drama, even if it is scripted.